TheBlueGuerilla: EXCLUSIVE: Rumours of Posh Celeb Bash as JSJ Romps To Anti-NUS Victory Promising To Save £50k For Booze. 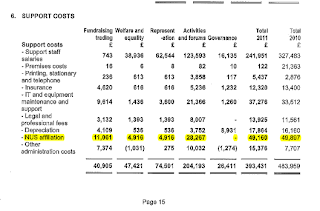 EXCLUSIVE: Rumours of Posh Celeb Bash as JSJ Romps To Anti-NUS Victory Promising To Save £50k For Booze. POPULAR LIBERTARIAN activist Jennifer Salisbury-Jones (JSJ) has sensationally stormed to victory at Bristol University NUS elections pledging to save Bristol students £50,000 for alcohol as rumours become rife about a potential glamorous Bristol Uni' celebrity party, tbg can reveal. tbg asked JSJ how she plans on beginning to implement such ideas and policies, to which she replied that pushing for a referendum this year on NUS affiliation now had a clear mandate. 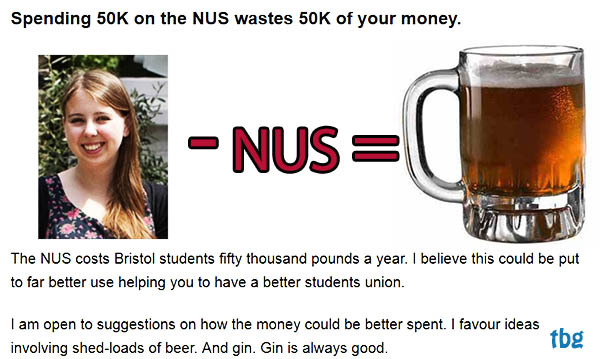 JSJ told tbg - "To stop wasting Bristol students money we have to disaffiliate from the NUS. With such clear dissatisfaction amongst the student body there is a clear mandate for a referendum later this year. I will be arguing that we would be better off out." Sources have recently alerted tbg to rumours that all £50k will be spent on an exclusive celebrity party with grand ice statues with platters of posh oysters and muscles. 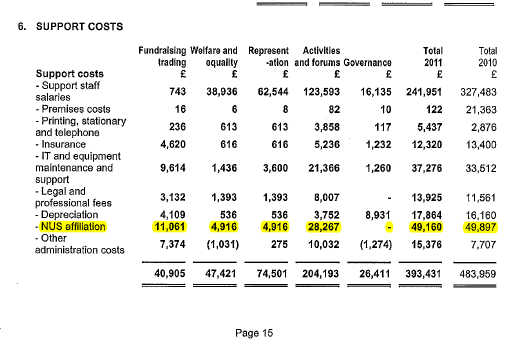 JSJ exclusively told tbg - "Once we do (hopefully) disaffiliate, the fee will go on whatever Bristol students mandate the union to spend it on. This could mean a bigger society grant budget, more staff, better support for students unable to access activities, whatever. That is a debate for later. Let's get us out of the NUS first."